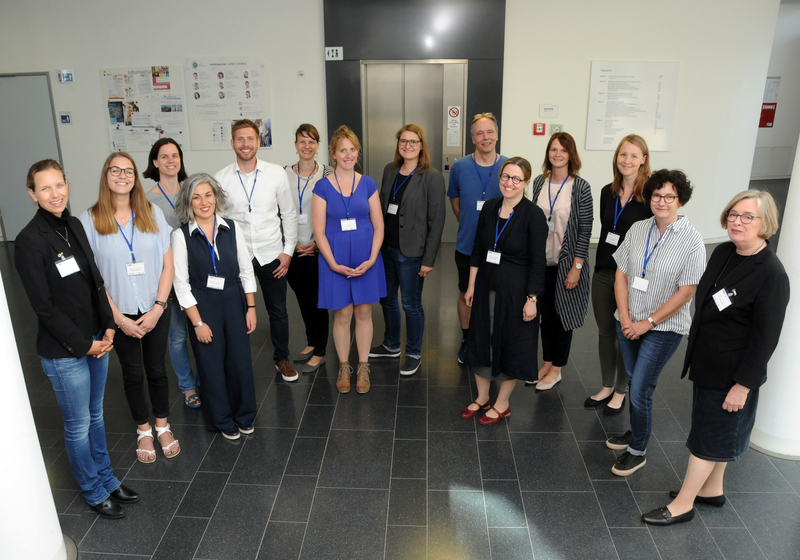 Rot and der Rot 2017: Investigated brain intervention methods with a brilliant group of 'Studienstiftler'. Kristine Krug speaks on "Making Decisions - in the brain and in life". Below with the speakers and organisers. Together with 17 students and three professors, we spent two weeks investigating the possibilities, limitations and ethics of different neural intervention methods. Seminars, discussions and experiments ranged from stimulating neurons in the cockroach, through cochlear implants and visual neuroprosthetics to non-invasive tDCS and TMS in humans. (See video at the top). Come inside and take a virtual tour through our laboratories! You can find me in the MRI scanner room. Find out more about our research and see our work with monkeys. Live crowd experiment on making decision-making about what we see at the Royal Society Summer Science Exhbition 2015. Can the crowd be as good or even better than a trained vision expert at making perceptual decisions? 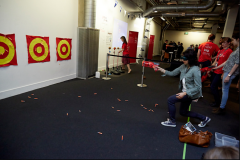 This was part of our Neuron to Nerf guns exhibit (see London Science Museum Late event below). Looking at brains and cells at different ages. Royal Society Summer Science Exhibition 2014: Kristine Krug gave an interactive talk about 3D vision that involved red-green glasses, mobile phones to make visual judgements and looking at brain function supporting perception. Kristine Krug and Professor Adrian Hilton, a computer scientist at the University of Surrey, discuss the challenges faced when generating computer models of humans. 26 March 2012 at the Royal Society.